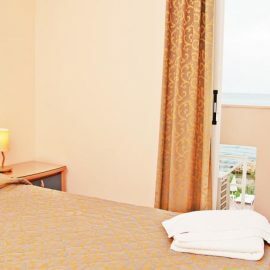 It is an easy few minutes stroll to an array of restaurants, shops, supermarkets, bars and other tourist sports while Zante Town is just a short car ride away. 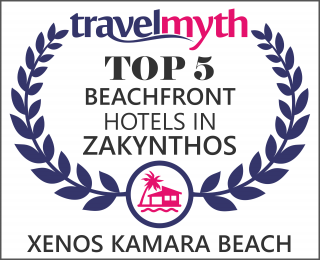 The modern, friendly atmosphere Xenos Kamara Beach Aparthotel provides a separate kid’s pool and has an adults outdoor swimming pool that has sun beds and a bar. 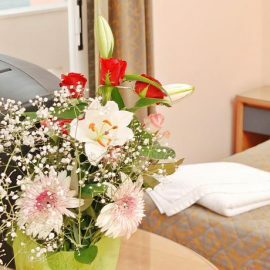 Accommodation is well suited for families as it consists of two bedrooms and have a small kitchen and dining area, fitted with a microwave, fridge, 2 ring cooker, toaster, table and chairs. Palmyra hotel consists of 50 full equipped apartments. 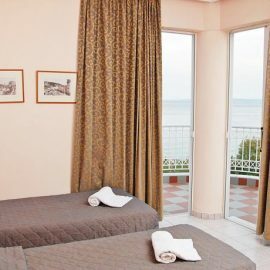 Each apartment consists of twin rooms with all the facilities that you need for your stay. The hotel is located in a tourist resort where you will find a wide range of bars, restaurants, souvenir shops etc. 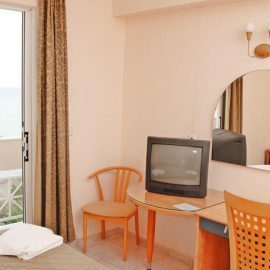 The resort is near to Zakynthos town and the hotel is front to the sea.